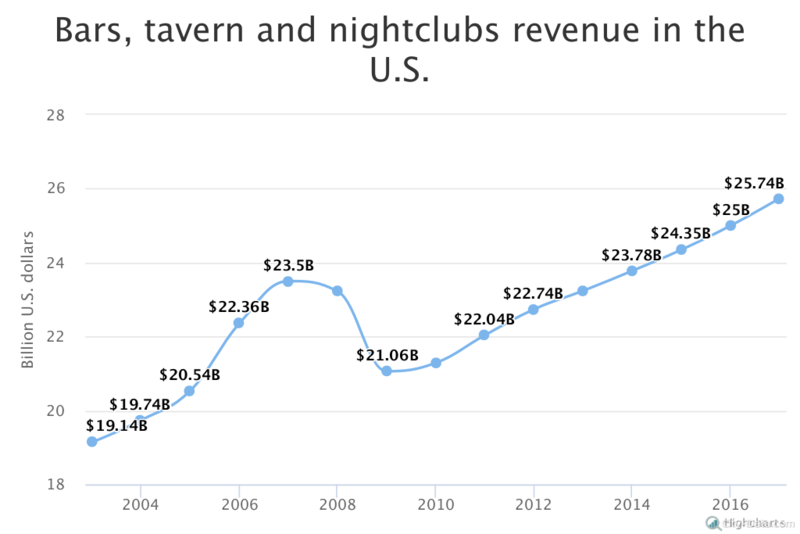 The American bar, tavern and nightclub industry generated $24.35 billion in income in 2015. It grows slightly each year; in comparison, the revenue of the industry was only $19.14 billion in 2003. By the end of 2016, the industry’s revenue will be approximately $25 billion according to a forecast published on Statista.com. In 2017 the income of the U.S. bars and nightclubs is forecasted to reach $25.74 billion. 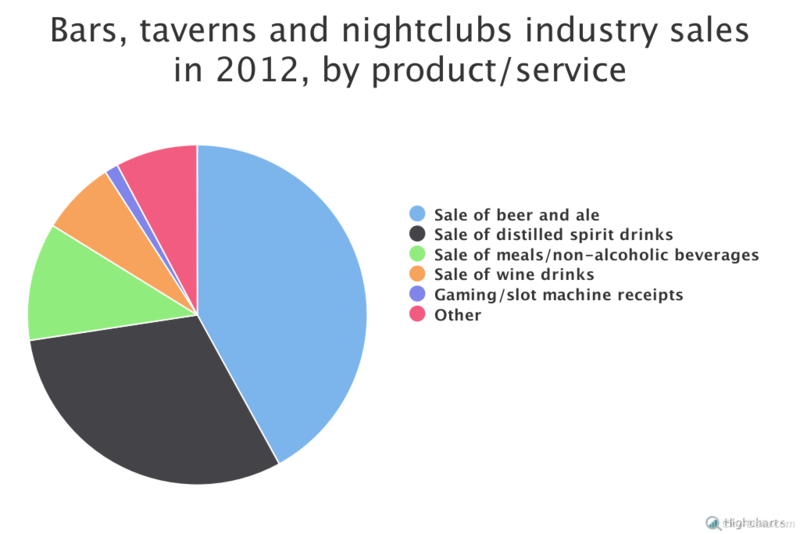 Beers and ales are amongst the most popular drinks in American bars, taverns and nightclubs. Thus, sales rate of beer and ale accounted for 42 percent of the market in 2012. About 30.6 percent of the sales were generated through the sales of distilled spirits. In 2012, meals and non-alcoholic beverages made up about 11.2 percent of the market. Sales of accommodation services, cigarettes, rentals and packaged liquor generated only 7.8 percent. Wine sales comprised over 7 percent of the total. In 2012, a total of almost 196.9 million barrels of beer were sold. The number was a bit smaller in 2011: 195.8 million barrels. In 2010, the total number of marketed barrels was almost 194.7 million, compared to 193.3 million in 2009. 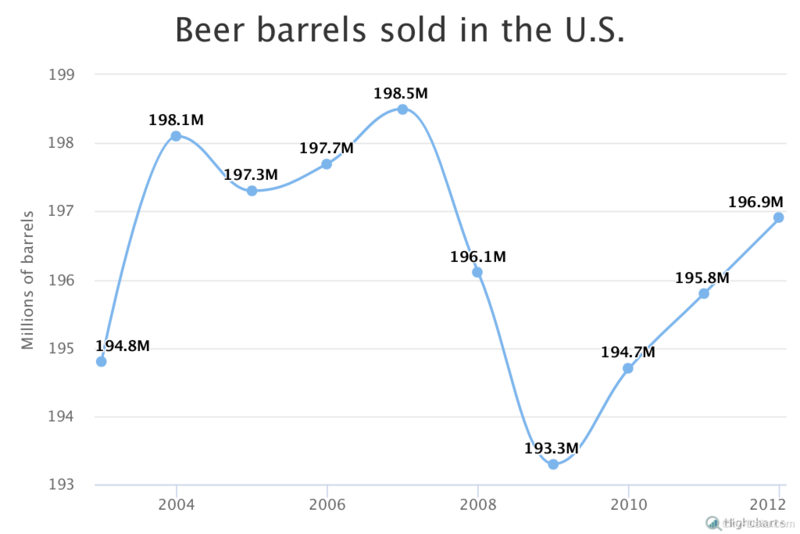 The highest number was sold in 2007: 198 million barrels of beer. If examine the average revenue per employee in the US nightlife industry, we see that each employee generated about $62,080 in 2012. 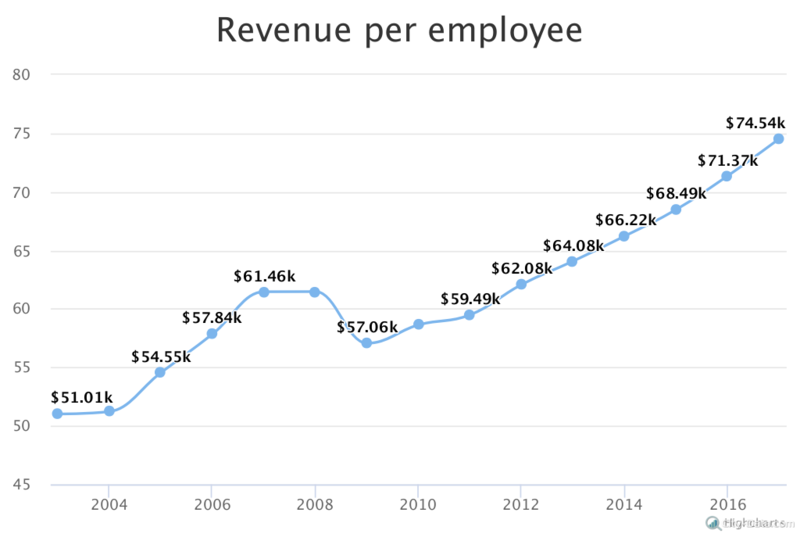 In 2013 and 2014 the average revenues per employee amounted to $64,080 and $66,220 respectively. Last year, the amount grew to $68,490. In 2016 and 2017 the revenues per employee in U.S. bars, taverns and nightclubs are projected to reach $71,370 and $74,540 accordingly.